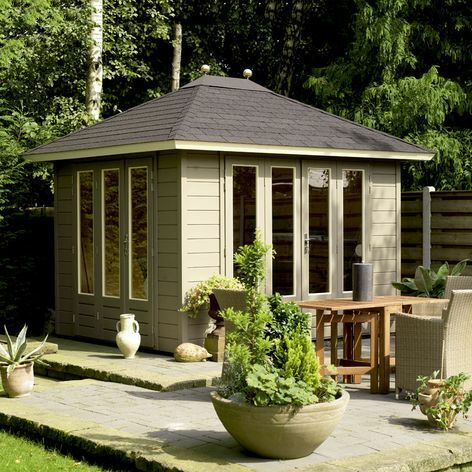 Lugarde Prima Pyramid Series summerhouses with an attractive pyramid style roof and two sets of versatile folding doors. Size approximately 3m x 2.4m in 28mm or 44mm log thickness. 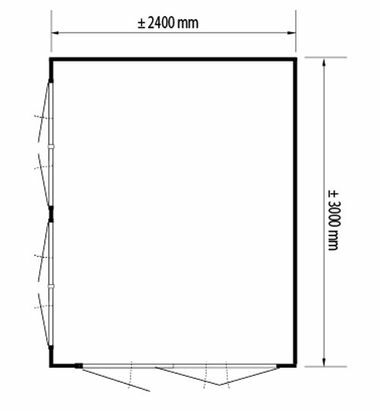 The standard Package includes folding doors with 4 panels VL01H and folding doors with 3 panels DL01H. Doors are double glazed as standard.